The LuxCraft Lakeside Poly Adirondack Chair is a great addition to any outdoor furniture collection. 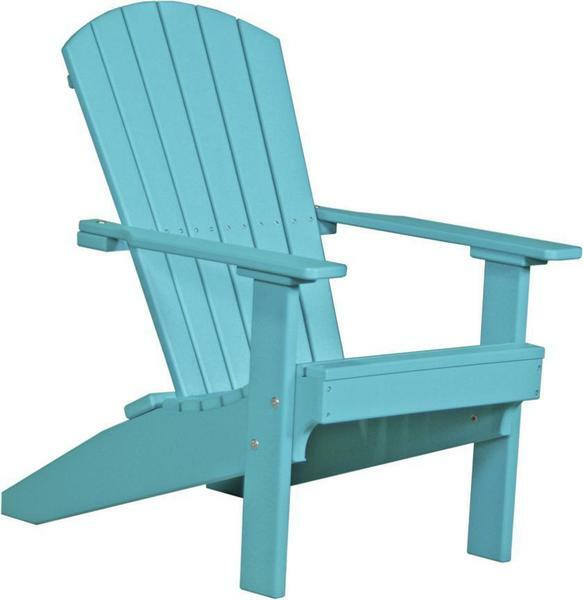 Whether it is for relaxing poolside or sitting on the back patio to read a book, this poly Adirondack chair will create the best place imaginable to enjoy Mother Nature. Add the matching LuxCraft Poly Deluxe End Table to give yourself a place to set down your beverage and hold all your reading materials. This compact version of the LuxCraft Deluxe Adirondack Chair makes it easy to move from the patio to the backyard so you can get the perfect amount of sun. Although compact, this poly chair still offers a 20" wide seat that provides ample space and comfort. The LuxCraft Poly Lakeside Adirondack Chair is available in a wide variety of poly colors to allow for easy matching with the rest of your outdoor decor.